I realize I should have put the 428i GC in the foreground but I was too excited. This past weekend I finally did what I was thinking about for the past few months. I traded the BRZ for a car that was more comfortable. It’s an F36 428i Gran Coupe. It’s Black Sapphire Metallic with Saddle Brown Interior. This is the only picture I have now. The other picture I have is a dorky one with me in a PistonHeads shirt in front of it. It’s a luxury line car. I think that just means it has a different front bumper and rear bumper with a white ambient light in addition to the standard red ambient light. Car came with PDC and EDC. It has the ZF 8-speed automatic gearbox and I actually quite like it (haters gonna hate). It is very responsive as everyone says and downshifts rather quickly with the paddles. The car does produce a pretty good sound when I give it the beans too. Despite the crap the gran coupe got when it was first introduced I think they look fabulous. The proportions just work and it’s got a long sweeping rear window and that pronounced hofmeister kink just does it for me in all the right ways. It’s funny how I ended up with the 428i GC actually. I used to find it lame to get an x28i BMW. I thought they were meh and boring. I only wanted the M cars. I was naive. What started off as me looking at mk7 Golf Rs on Carmax turned into me looking at F10 535i base models . That turned into 535i M-sports. 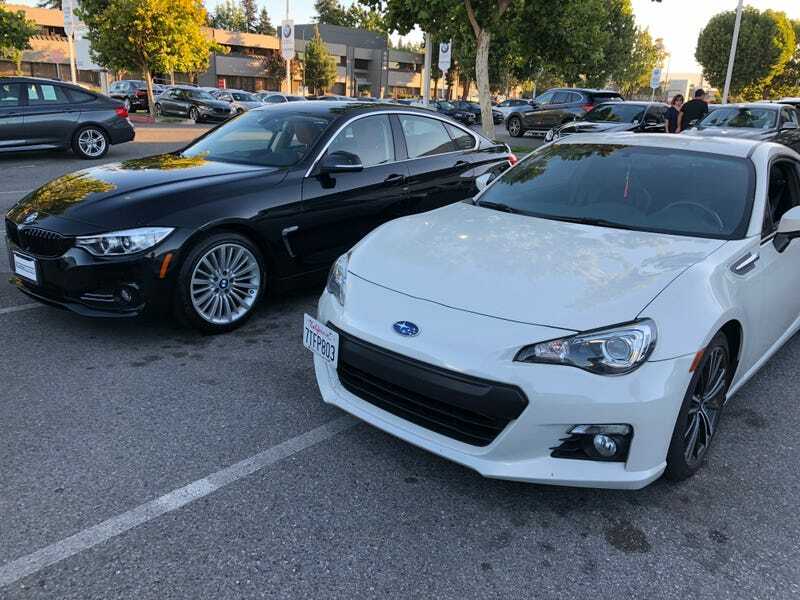 So I found a low mileage 2013 F10 535i M-sport. So I made an appointment at the dealer to look at it. We got there and after some waiting I test drove it. The F10 is sublime and comfortable, however it was huge and felt like a boat. Very disconnected. So then I decided to look at the 428i GC (I wanted something with 4 doors this time around to drive people. I’ve only ever had coupes). I test drove the 428i GC I ended up buying. I immediately started giggling like a child when I floored it onto an onramp in Sport+ mode. My girlfriend told me afterwards she had never seen me have such a big grin on my face until I drove this car. I was sold after that. No, it’s not the fastest car ever. No, it’s not an M-car. No, it’s not even the fastest F3x, but it’s perfect for what I want right now.